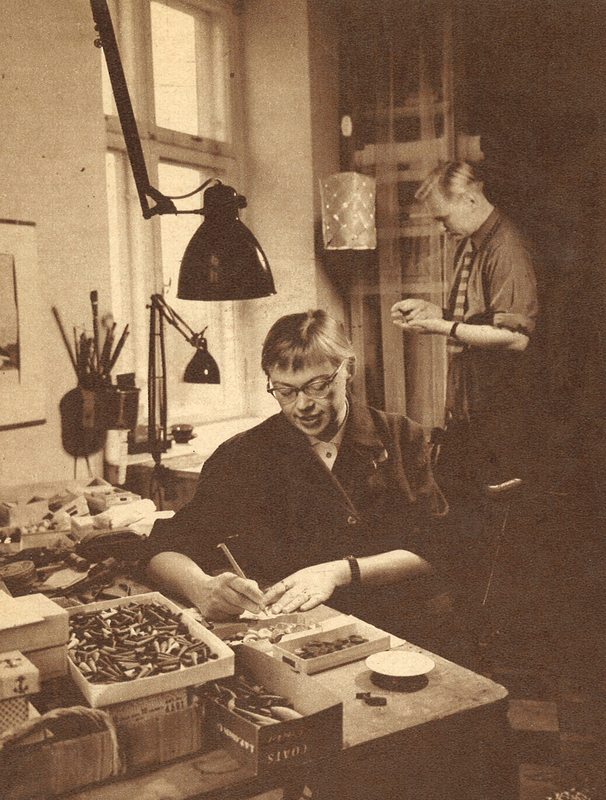 Kaija and Erkki working together. 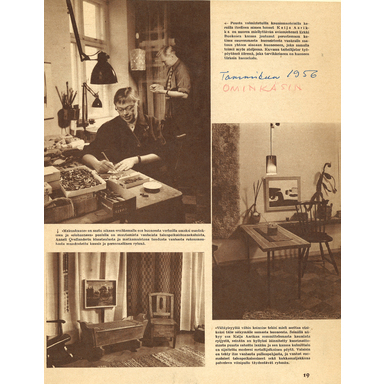 The company’s first steps in a rented one-room flat. 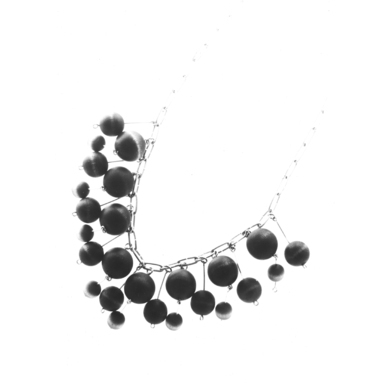 Jewellery ideas taking shape in the garage. 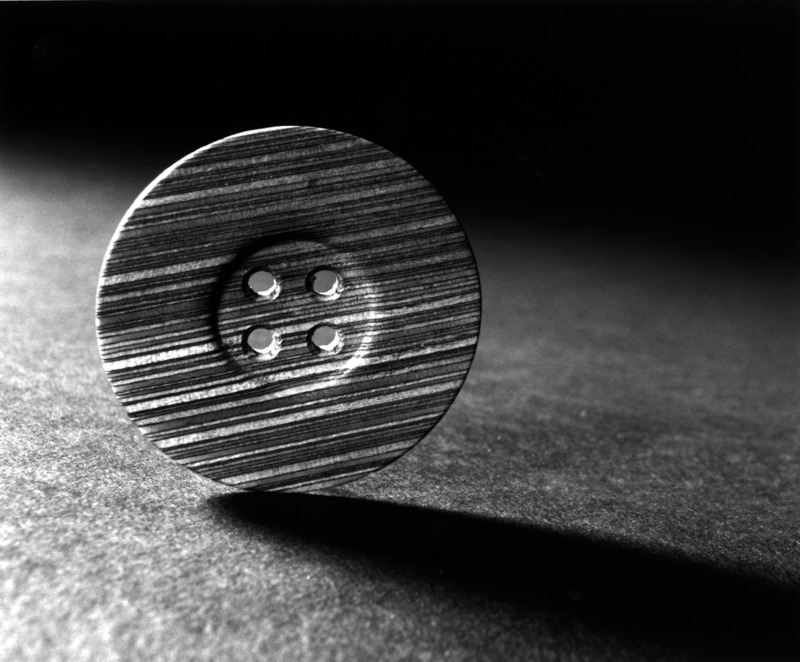 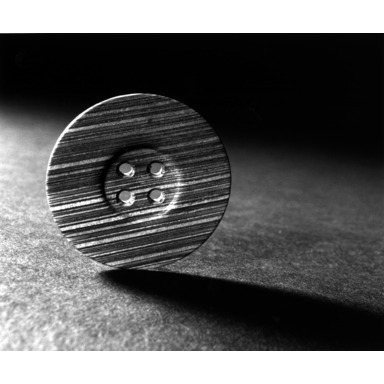 The Minna button made from aircraft plywood. 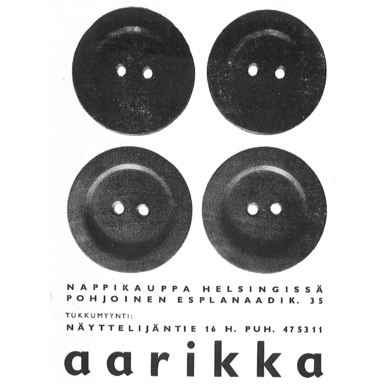 The story of Aarikka begins with a few wooden buttons carved by Kaija Aarikka, a student of textile arts, for her diploma work. 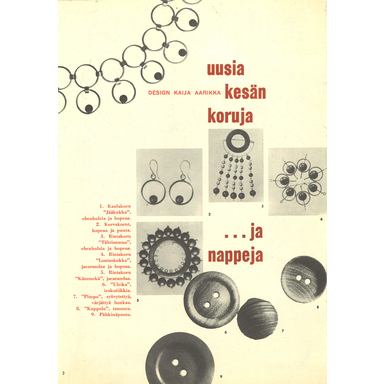 The enthusiastic welcome received by the hardwood buttons designed on the basis of these first buttons inspired Kaija Aarikka and her husband Erkki Ruokonen, recently married, to establish their own company, Aarikka Ky, in 1954. 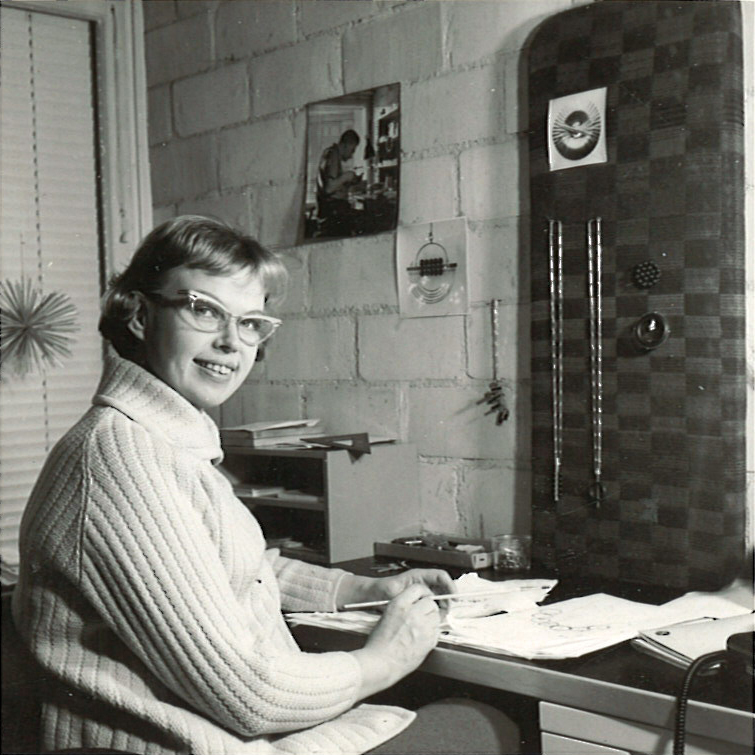 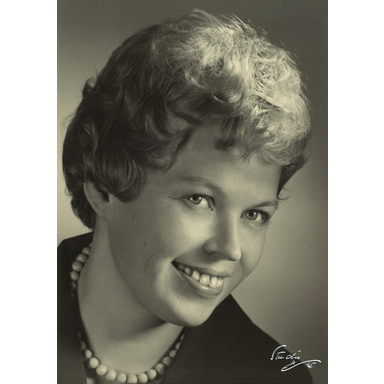 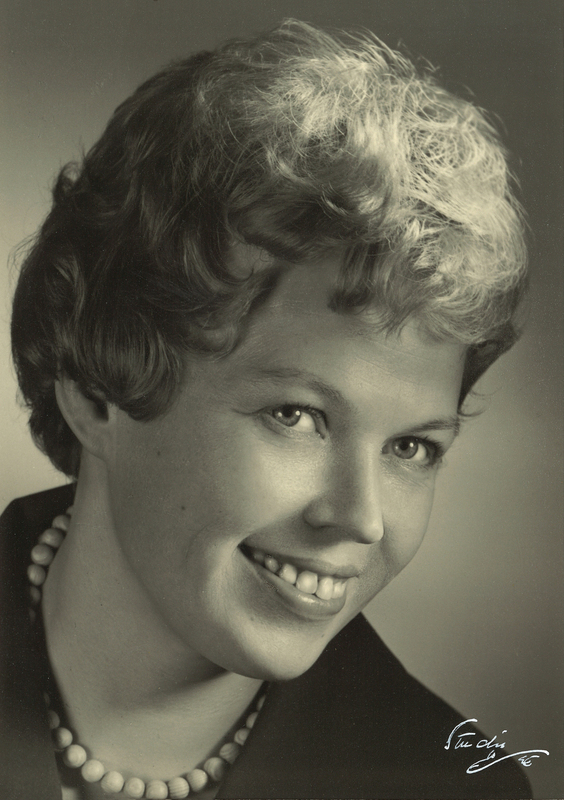 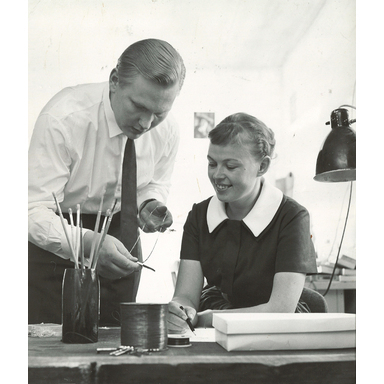 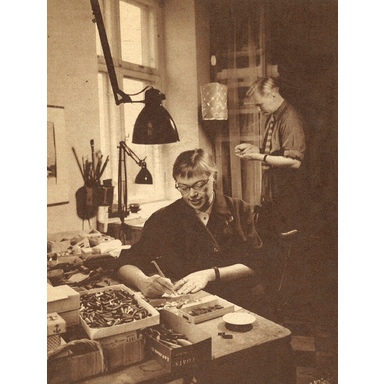 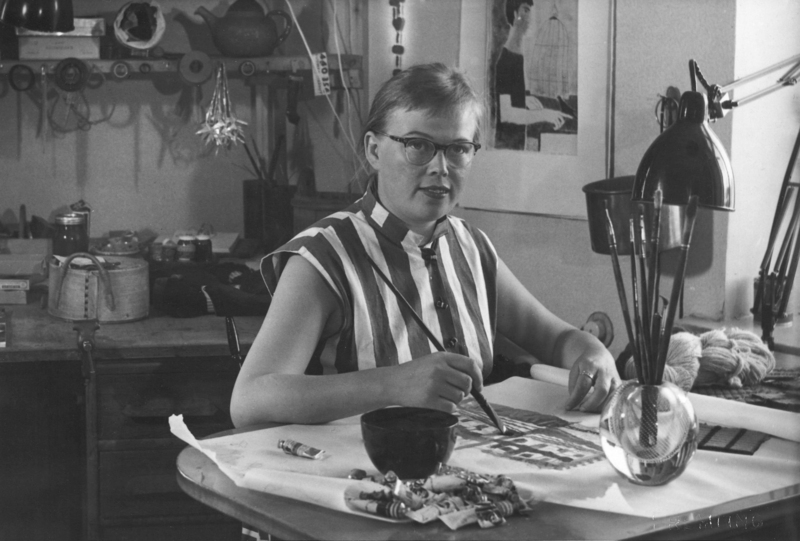 Kaija focused on product design while Erkki took care of marketing and technical solutions. Operations were run from the newlywed couple’s home in those days, and soon the company had expanded to fill their garage. 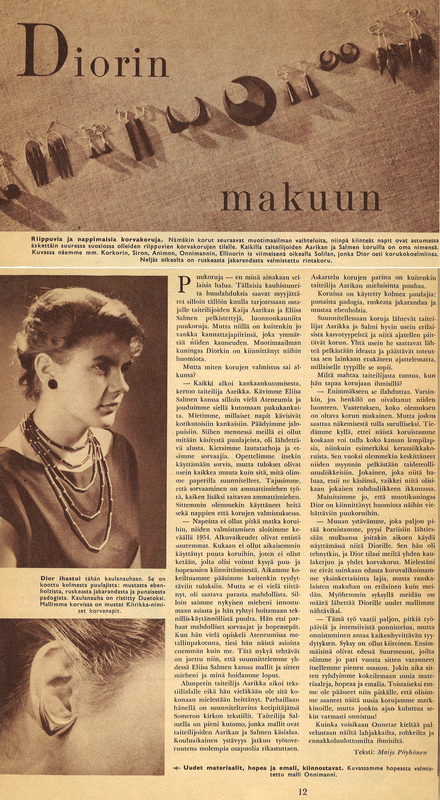 Me Naiset magazine, issue 4/1954. 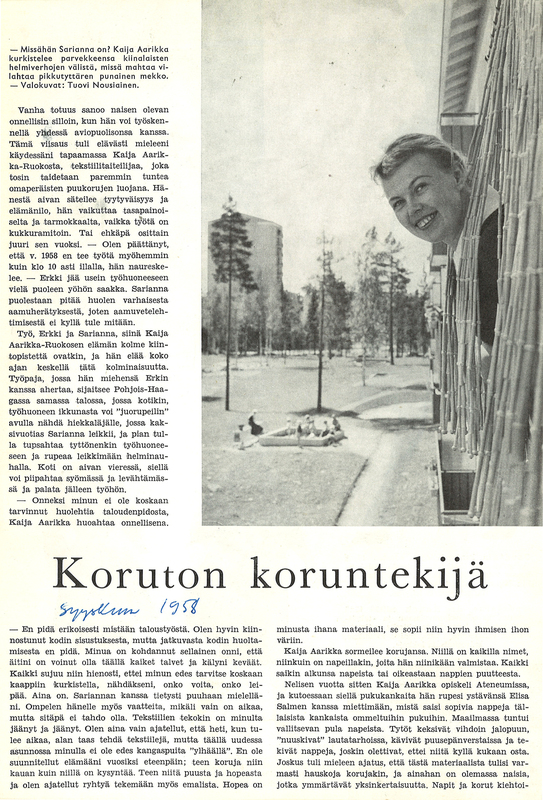 A magazine article from September 1958. 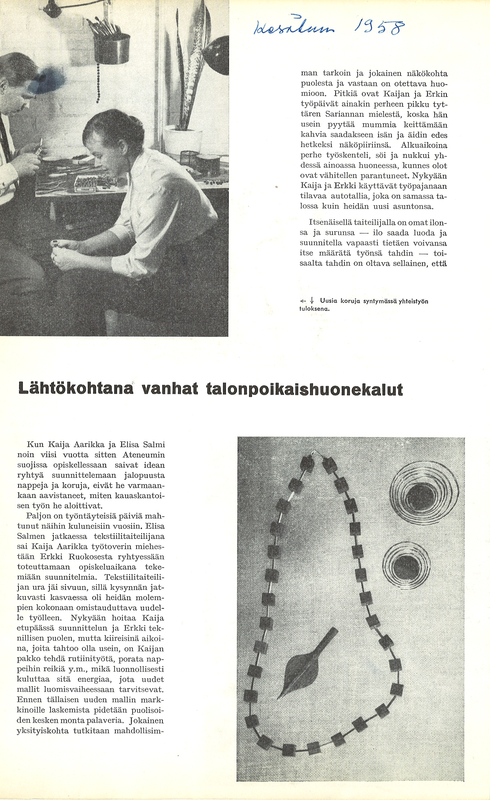 A magazine article from June 1958. 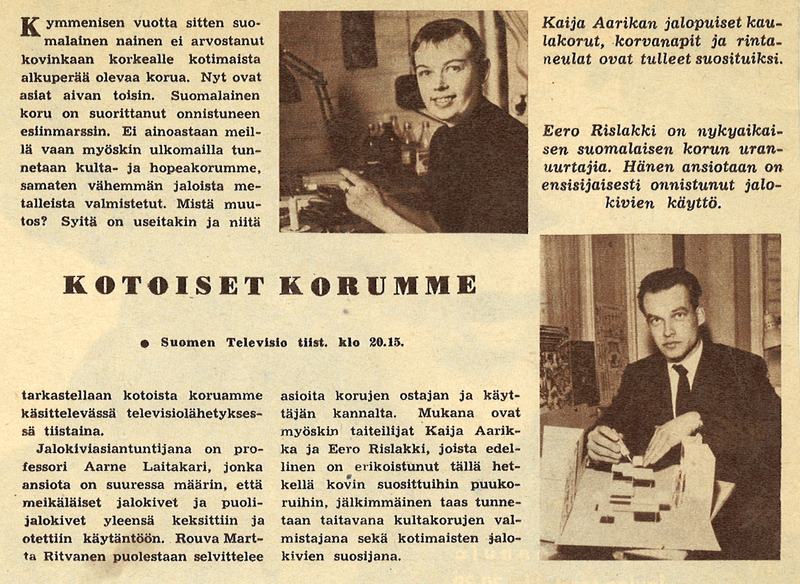 Kotoiset korumme television programme, 1956. 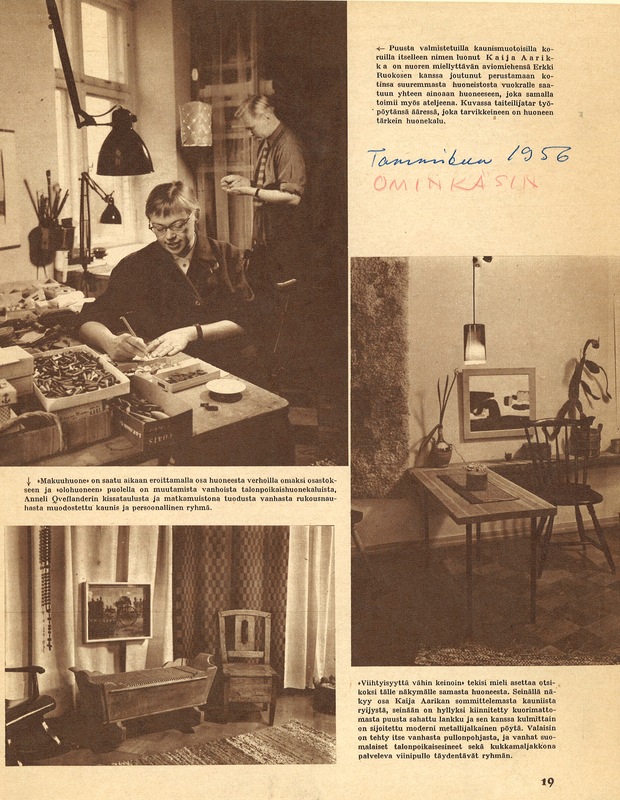 With Finland recently having paid off the last of its war debt, Finns were pleased with the success that Finnish industrial art began to experience in international competitions. 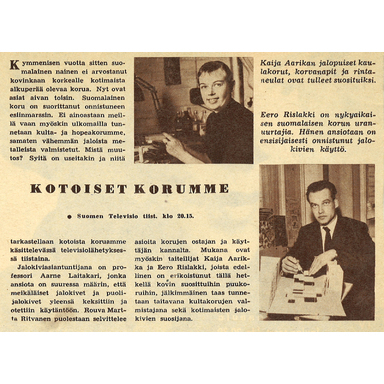 The press reported very favourably on the endeavours of young Kaija Aarikka. 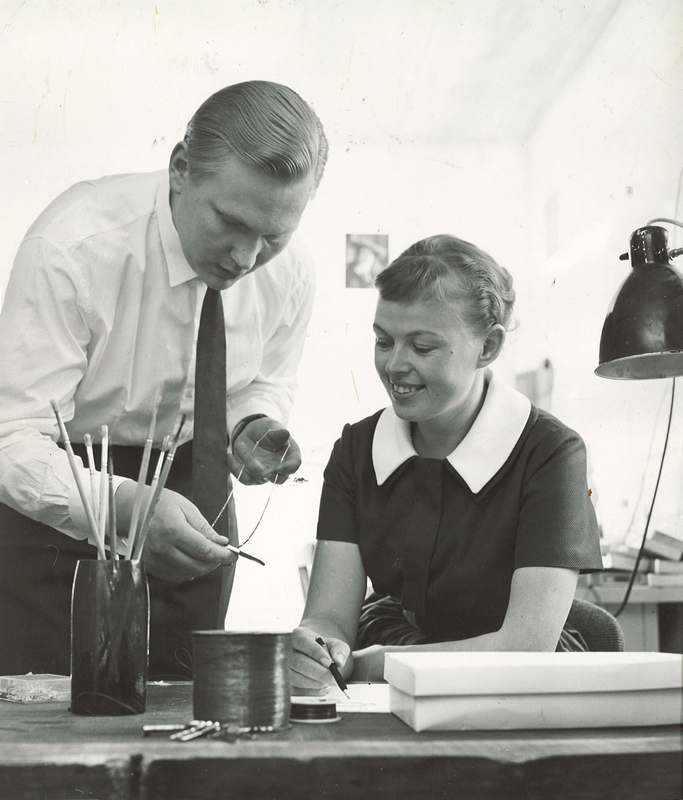 She was even interviewed on television, and just three years after the founding of the company, Aarikka had become a household name. 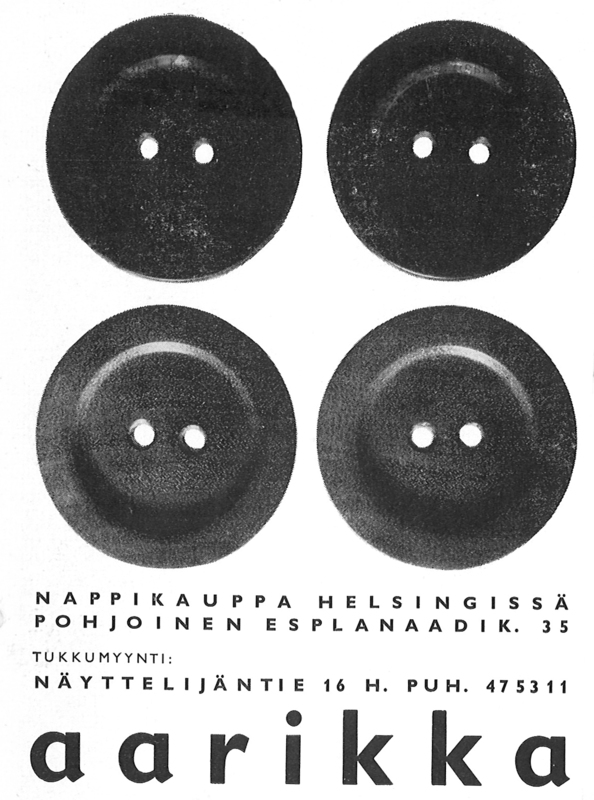 An advertisement for the Nappi button shop. 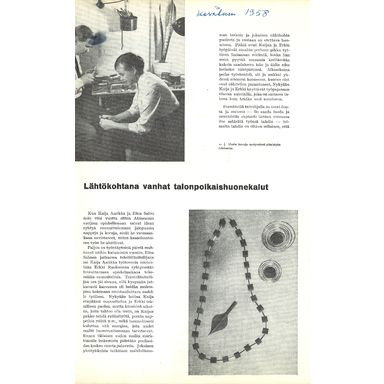 ‘Diorin makuun’ (‘A Taste of Dior’), an article in the magazine Uusi Kuvalehti. 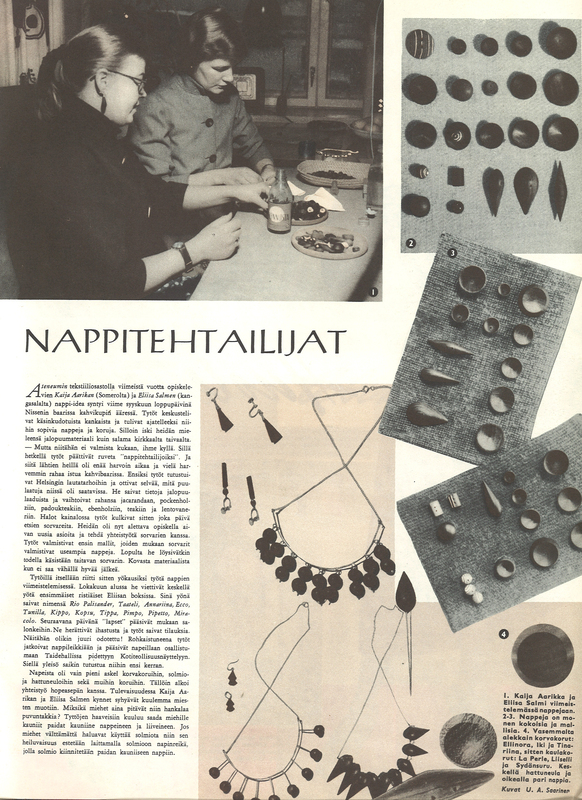 Jewellery and buttons featured in a magazine article. 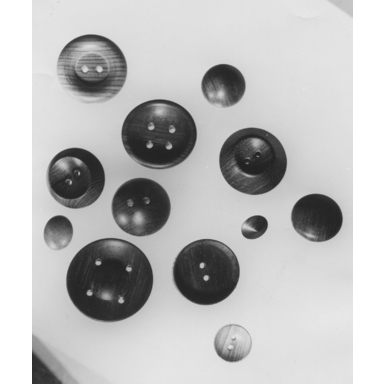 Buttons and some of the company’s first wooden jewellery. 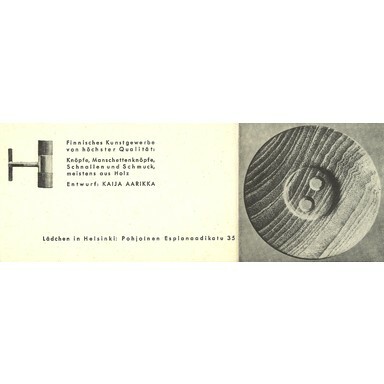 A piece in the Hilirimpsis range made from wood and metal. 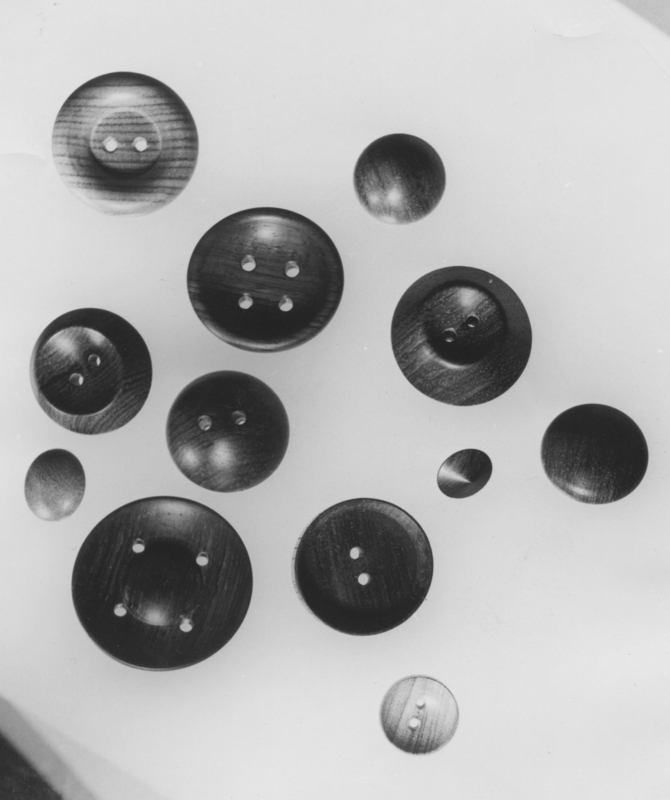 There was clear demand for buttons because, regardless of the continuing increase in the standard of living, most clothes were still home-made in the 1950s, and others were commissioned. 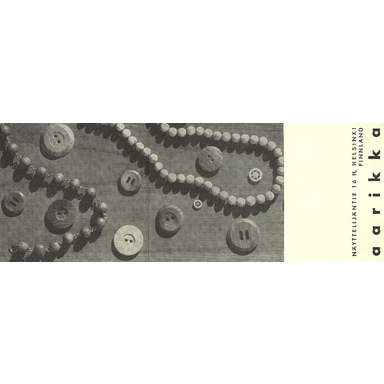 Aarikka’s wooden buttons and woven buttons proved trendy and were valued even in the fashion houses. 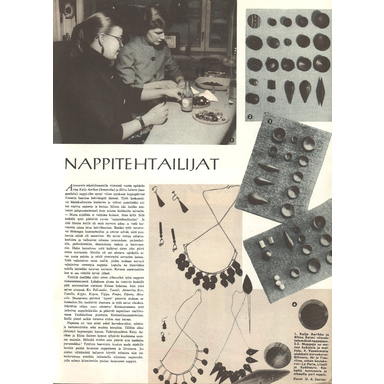 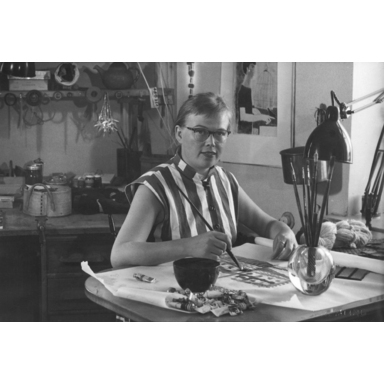 Buttons that draw attention to the clothes they adorn are not so far removed from the realm of jewellery, which Aarikka soon began making, from silver and wood. 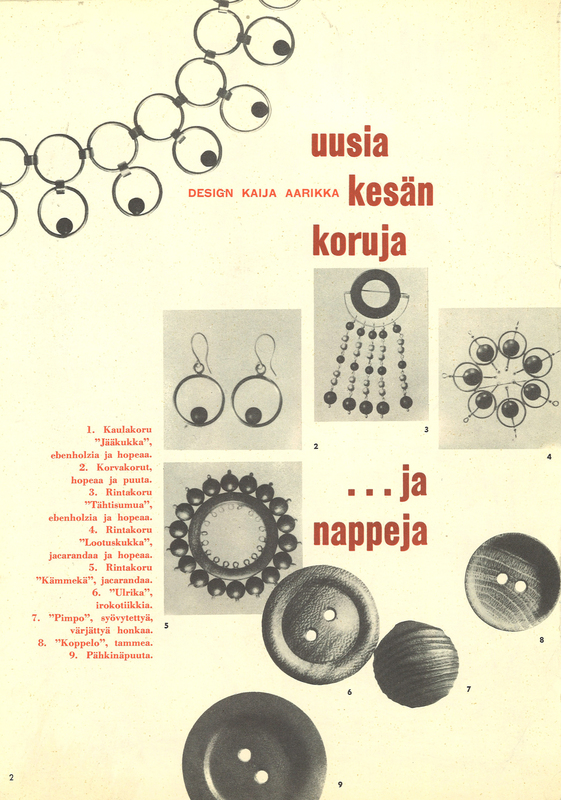 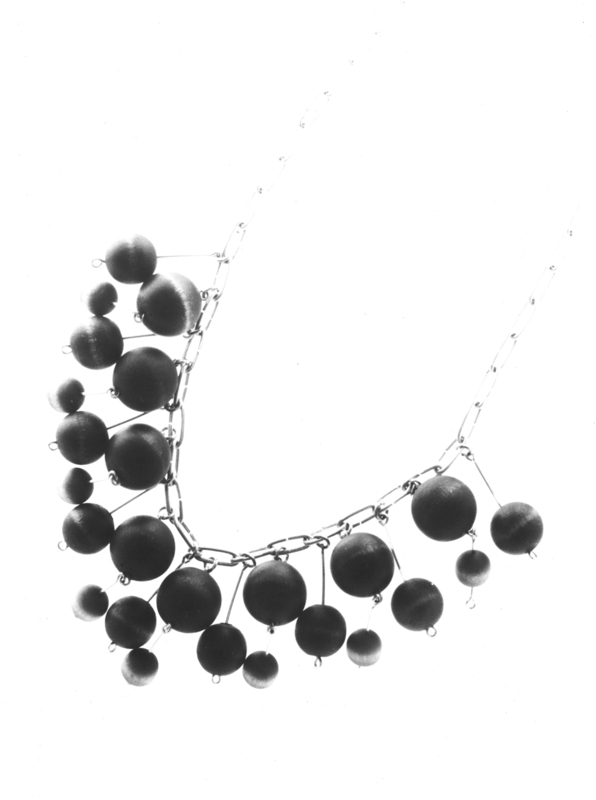 The first series of the company’s wooden-bead necklaces was called ‘Hilirimpsis’. 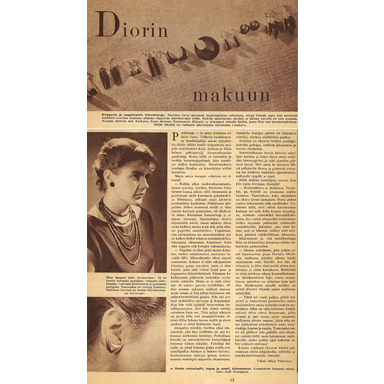 In 1955, a surprising commission for four necklaces from Dior in Paris lent wings to a bright future for Aarikka jewellery. 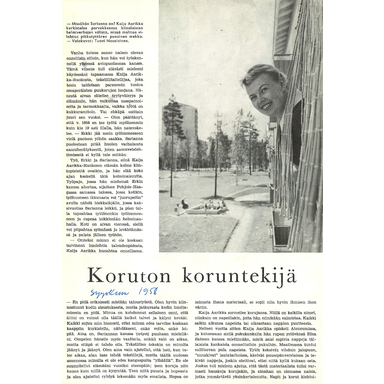 In addition to various types of hardwoods, Aarikka manufactured products from domestic aircraft plywood, juniper, and birch.